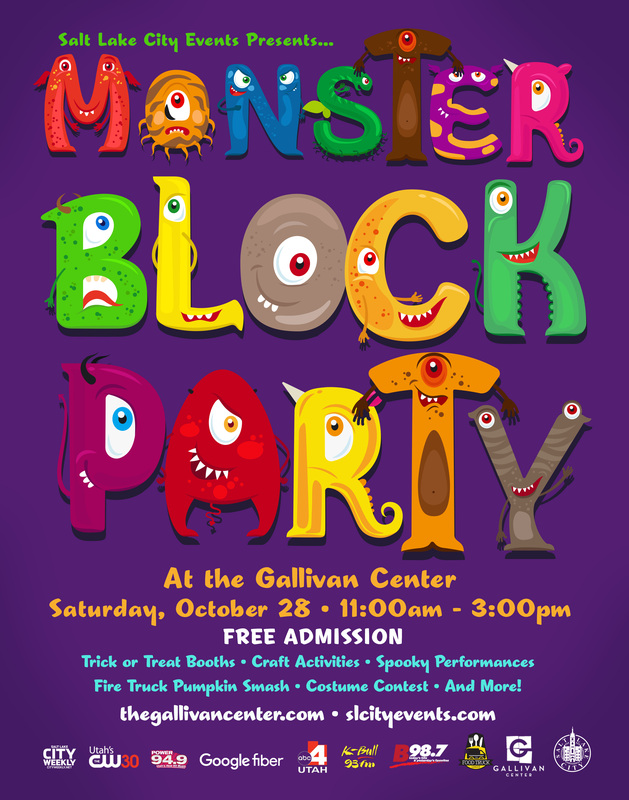 Join us for a free, daytime Halloween festival for Salt Lake City’s goblins and ghouls of all ages! There will be trick or treating booths, a costume contest with prizes (kid, teen, adult, and family/group costume divisions), free arts and crafts projects, a pumpkin drop from the Salt Lake City Fire Department, live performances, train rides, face painting, a petting zoo, and more! 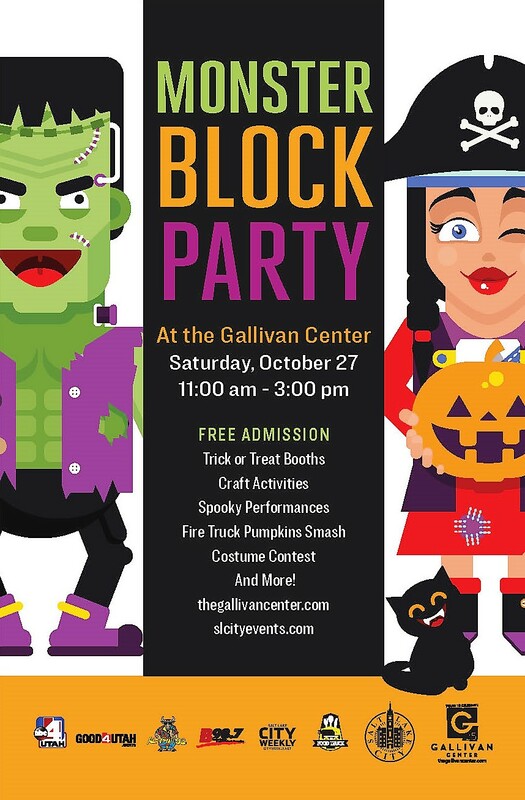 FREE family fun Halloween event on Saturday, October 28, 2017 from 11am-3pm on The Gallivan Center Plaza. Join us for a free, daytime Halloween festival for Salt Lake City's goblins and ghouls of all ages! There will be trick or treating booths, a costume contest with prizes (kid, teen, adult, and family/group costume divisions), free arts and crafts projects, a pumpkin drop from the Salt Lake City Fire Department, live performances, train rides, face painting, a petting zoo, and more! Schedule of the day's events: *All Day- FREE arts and crafts, trick or treating booths, pony rides, petting zoo, train rides, and face painting! 11:00am-11:30am- Doc Young Band (on stage) 11:30am-12:00pm- Craig Nybo Band Costume Performance (on stage) 12:15pm-12:45pm- The Great Pumpkin Drop by the Salt Lake City Fire Department (on Gallivan Avenue) 12:45-1:20pm- Thompson Lane Dance Performance (on stage) 1:20pm-2:00pm- Craig Nybo Band Costume Performance (on stage) 2:00pm-2:30pm- Music and Art Collective Performance 2:30pm-3:00pm- Costume Contest and Awards (on stage) A special shout out and thank you goes to Google Fiber, ABC 4, Power 94. 9, K Bull 93, B98.